We don't know what are we doing and for what reason, we act impulsively or (self-)destructively... We fear things that objectively are not scary; we feel shame or guilt in situations where we did nothing wrong... We don't have things we would like to have; we don't live the life we would like to live; our relationships are not that kind of relationships we would like to have... A lot of people don't live, but only exist. Or to be more specific – they only vegetate, i. e. they slowly and passively wait for their deathbed, or act destructively – and in general are unhappy. Do you know people like that?.. However, in each of us there is a treasure – our true self, i. e. that what we really are: our buried emotions, dreams, goals, spontaneity, enthusiasm, empathy, happiness, love, and other virtues. 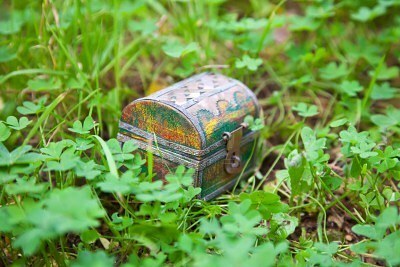 In order for us to find all of those treasures, we have to search, dig, and excavate. After finding them we have to carefully brush, clean and polish them. And then we can delight in the benefit and joy that they provide us, exhibit them to the world, and present them to others as a gift. I've called this process (or in some aspects – state) self-archeology. Self- (relating to – of or by or to or from or for – the self) + archeology (an in depth, thorough, close exploration and discovery) = self-archeology. Self-archeology – it's self-knowledge, self-exploration, self-understanding, and self-acceptance. Self-archeology – it's the strengthening of the bond with one's true self. Self-archeology – it's the state of awareness and consciousness when you're trying to understand the true meaning and purpose of your present and past actions, motives, and emotional states. Self-archeology – it's taking care of oneself, emotional healing, self-empathy, self-love, self-nurturance, self-education, and personal growth. What Motivates People To Change?